As organizations transition from on-premise data storage and device-centric security to the cloud, the need for a data-centric solution becomes critical. Organizations need the ability to protect data in the cloud, at access, on the network, and across all devices. While cloud app vendors now offer robust functionality, they lack the level of granular control and deep visibility many organizations need, either for compliance purposes or simply to enable an increasingly mobile workforce. 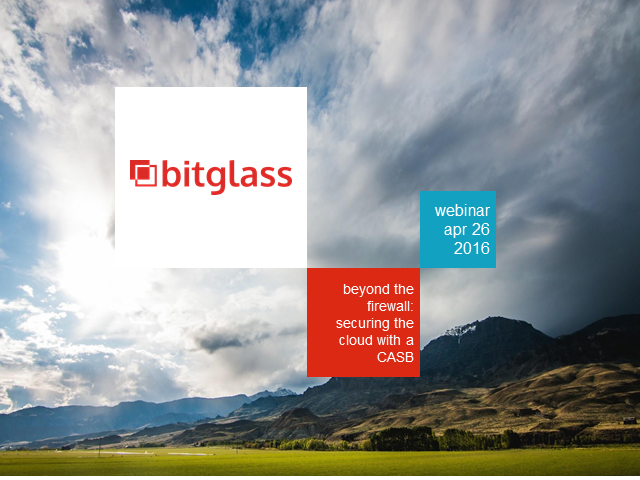 In this webinar, we'll discuss how CASBs leverage APIs and proxies to control data on both managed and unmanaged devices, enabling secure SaaS and BYOD. Join us to learn how Cloud Access Security Brokers can help protect data in the cloud by providing comprehensive security and real-time data protection.